In the very recent pass, Texas Tech beginning spring practice was king. Now, it’s taking a back seat to the basketball team eyeing a deep March run in the NCAA Tournament and a baseball team that is undefeated through their first nine games. But, spring practice is here and like with all things in the spring, hope springs eternal this time of year. Despite the concerns about Kliff Kingsbury as head coach for 2018, following a 6-6 regular season and bowl loss to South Florida, Texas Tech is in great position to get over the mid-tier hurdle in the Big 12. Texas Tech is returning 10 of 11 starters on defense that proved to be a takeaway machine and shouldn’t miss a beat this year with an abundance of depth joining the ranks. Texas Tech’s offense was good, but not to the same standards Tech and its fans have been used to in the past, including during the Kingsbury era. Most of that, once again, coming from their struggles in the red zone that will undoubtedly be addressed this spring. With more than enough reinforcements coming to replace key losses in 2018, the only question is, who will be able to separate themselves before entering the season? Kingsbury recruited speed, speed and more speed in his WR’s this past recruiting cycle and if anyone thinks that Henry will be red-shirted because of the players in front of him, I would’t count on it. Ta’Shawn Henry was a huge get for Kingsbury who needed to stabilize the running back position and is versatile enough to line up in the backfield or in the slot. I think Kingsbury will use him right away if he shows what he showed in high school namely, tough running and play-making ability in space. 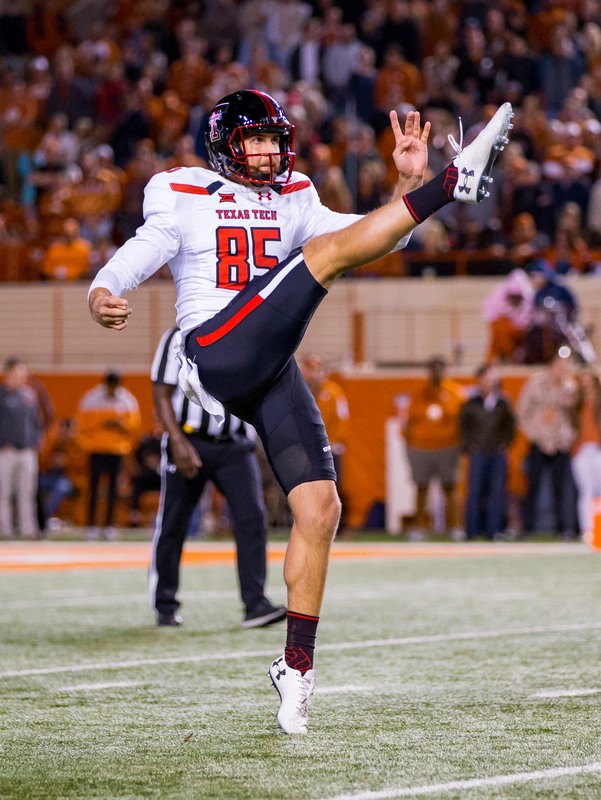 Seeing as how Texas Tech struggled so much in the red zone last year, Kingsbury won’t hesitate to use any personnel that will give him an edge. Carter started the last game of the season, vs Texas, in place of a struggling Nic Shimonek. In the first quarter he showed that he could be the quarterback going forward, going 11/15 for 175 yards. Some concern came after he struggled the following two quarters going just 5/22 before being replaced in the 4th quarter by Shimonek. Carter has the most experience and has shown his capability especially when considering he’d get most first team snaps in the spring and fall. Duffey has the backing of most of the Tech fan base due to his Mahomesian style of play and ability to move the pocket under pressure. 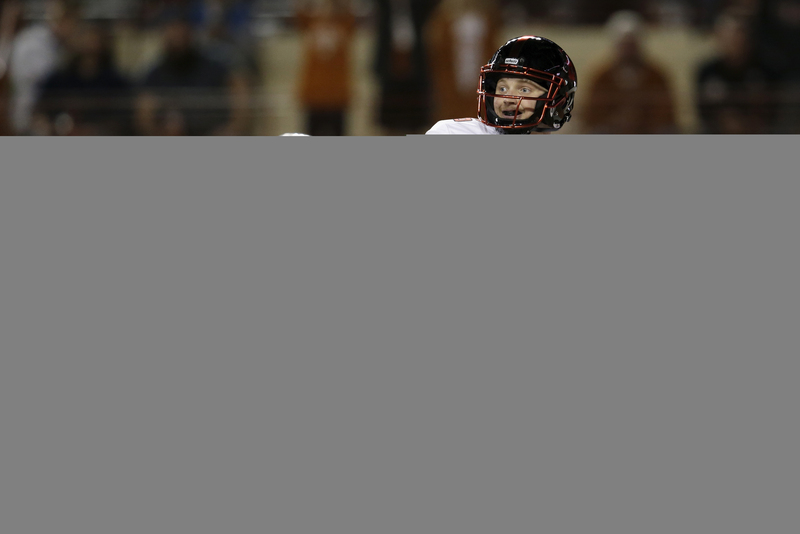 Duffey was highly acclaimed out of high school and heir apparent to Mahomes, before being suspended from Texas Tech in the spring of 2016. With Shimonek’s good, but not great numbers especially late in games, fans are even more wanting to see what Duffey can do in the Red Raider offense, despite his limited sample size. Some believe that Alan Bowman has a real shot at the job. Seeing as this is the first full on QB battle since the great Mahomes/Webb battle of 2015, it’ll be interesting to see if Bowman plays well enough to beat out Carter and Duffey for the job. Bowman had a fairly good high school career and has gotten praise from Kingsbury and recruiting experts throughout the recruiting cycle leading many to believe he can be the guy for the next four years in Lubbock. The special teams group left a lot to be desired in 2017. Beginning with an injury to Clayton Hatfield that led to kicking issues throughout and at key points in the game to inconsistent punting by transfer punter Dominic Panazzolo, all culminating in the dismissal of special team’s coach Joe Robinson. Kingsbury waited until March 1st to make the hire of Adam Scheier, his new special teams coordinator. Scheier previously was a special teams quality control coach at Ohio State. The special teams group doesn’t need to be phenomenal to be an improvement from last year, it just needs to be sound on coverages and consistent on kicks. No one will fault the place kicker for missing a 50 yarder, but from 35 and in has to be money. Panazzolo had great moments and bad moments and was illustrated perfectly in Tech’s bowl game against South Florida. In the 2nd quarter, Panazzolo had a 43 yard punt downed at the South Florida 1 yard line and nearing the end of the half, while deep in their own territory, had a punt of just 15 yards to set up a South Florida score. McGuire, at Texas Tech grad, previously coached at Texas Tech under Mike Leach from 2006 to 2009. He started as a video intern and worked his way up to running backs coach before following Ruffin McNeil and Lincoln Riley to East Carolina. When Mike Leach got hired at Washington State in 2012, McGuire served Leach as offensive line coach. McGuire is a huge get for Kingsbury and it’s a move that irked Mike Leach, further proving how good McGuire is. With his experience as both a running backs coach and offensive line coach, he is uniquely suited to handled and improve the running game for Texas Tech. Something Tech has desperately needed since losing Mike Jenks and DeAndre Washington after the 2015 season. McGuire will also serve as co-offensive coordinator along with Kevin Johns who will coach inside wide receivers. The move by Kingsbury to have two offensive coordinators, presumably shows his willingness to move play calling duties to one of them and at the very least shows an upgrade to have a coach specifically handle the passing game coordination and running game coordination. This story originally posted at https://www.vivathematadors.com/2018/3/1/17068032/texas-tech-spring-practice-set-to-begin by College BattleGround.